The Inversion Table allow the forces of gravity to work for you rather than against you as they do in the aging process. But to allow gravity to be at your advantage there are a few basics you need to understand about the laws of our environment and how they have such a great impact on our bodies. 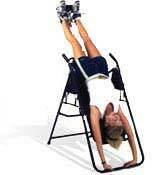 The Gravity Inversion Table allows you to perform exercise for health and fitness as well as relief from back pain! The Inversion Stretch Table can help alleviate pain and stress through reduced pressure on spinal columns and increased blood circulation. 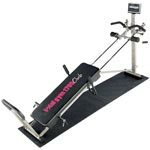 The Stamina Inversion Stretch Table adjusts to a range of inversion angles -- from an upright inclined position to level horizontal to a 90-degree, fully-inverted inverted position. 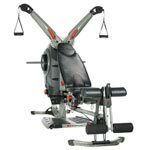 The Inversion Table is forged from heavy-duty steel, while your body is cradled in a nylon-stitch support pad. 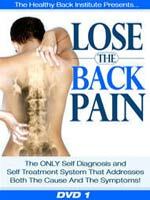 This nylon-stitch support pad is designed to adapt to the unique shape of each person's back, providing enough support to encourage proper posture and positioning while also being supple enough to cushion your back. 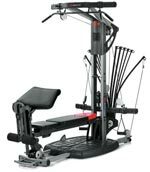 The Stamina Inversion Table features a widely adjustable leg holder so that users of all heights can adjust the Stamina Inversion Stretch Table to suit their leg length. As well, the Gravity Inversion Table is easily folded and stored. Safety Shrouds - prevent accidents when folding the frame for storage.